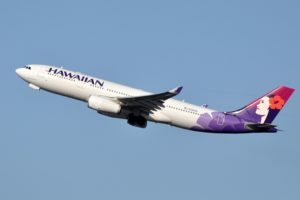 Hawaiian Airlines reports the expansion of its Business Class auction upgrade service—Bid Up by Hawaiian Airlines—to flights operating between Hawaiʻi and Japan and South Korea. 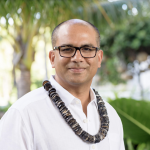 “Bid Up has been extremely popular since we first launched the service in 2016, and we’re excited to offer our guests in Japan and Korea a flexible and convenient way to experience our award-winning, fully-flat business class offering,” said Theo Panagiotoulias, senior vice president of global sales and alliances at Hawaiian Airlines. Since Hawaiian launched Bid Up in 2016, over 55,000 guests have received upgrades through the Business Class auction program. 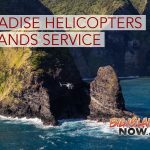 The addition of Japan and Korea completes the rollout of the program now available on all of Hawaiian’s transpacific flights. Bid Up, powered by Plusgrade, is a simple and easy-to-use service available to all ticketed Main Cabin guests on flights operated by Hawaiian Airlines and whose itinerary contains at least one segment between Hawai‘i and any of the airline’s international destinations including Osaka, Sapporo, Tokyo, Seoul, Auckland, Brisbane, Pago Pago, Papeete, Sydney, or its 12 North America gateway cities. Eligible guests will receive a Bid Up e-mail approximately 10 days prior to departure inviting them to bid for available Business Class seats. Successful bidders will be notified 48 hours prior to departure. Guests taking advantage of Bid Up will enjoy the many benefits of Hawaiian’s Premium Cabin, including: two complimentary checked bags with Priority Baggage handling, expedited check-in lines, access to Hawaiian Airlines Premier Clubs or Plumeria Lounge (international Business Class only), priority boarding, award-winning regional cuisine from acclaimed Honolulu Chef Lee Anne Wong and a cast of renowned Hawai‘i Featured Chefs, unlimited in-flight beverage service, free access to the latest movies and over 150 hours of TV and music programming. For more information, go online.